So, I came across this jam yesterday and suddenly felt quite motivated to join in! I'm actually not amazingly familiar with Myst and just recently got into it. But I really liked the atmosphere and lore behind it. Travelling through the different ages, understanding their rules, their history and also that some of those worlds were unstable, I don't know I just find something really intriging about it.. I had some ideas about that in my head for a while now and I'm looking forward to try to articulate some of them during this jam! 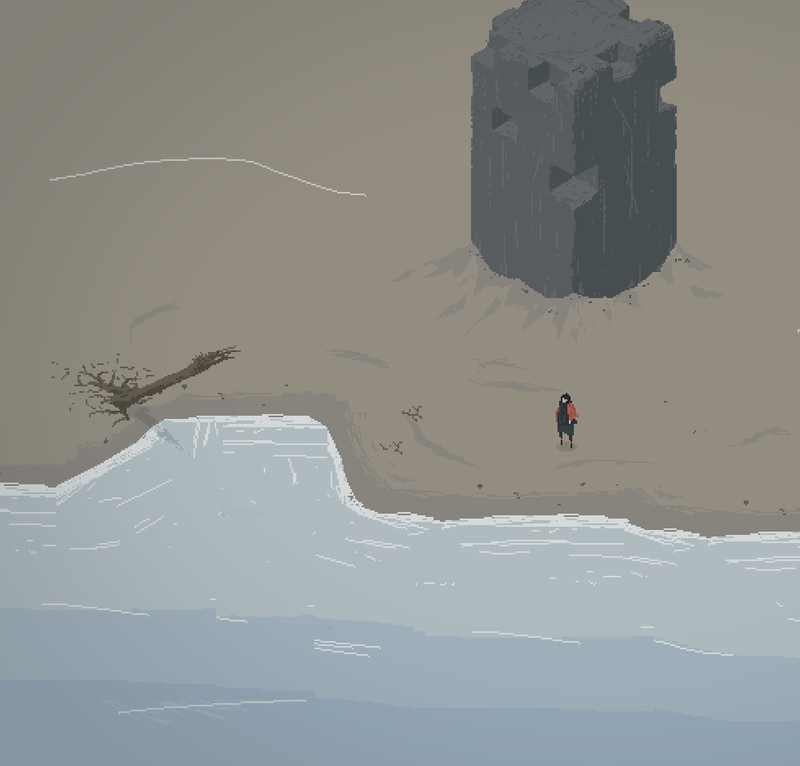 Also I guess I also like drawing islands a lot.. The game is called μ, or myː, or mü. I'm not quite sure yet about that but I thought it sounded nice. It will be played by controlling a small little character by pointing and clicking and is mostly going to be about exploration and discovering different worlds or islands. I'm not sure if there is going to be much gameplay apart from exploring and just being in different and weird and strange, calm places. In the end I hope to have those worlds procedurally generated so there will always be something new and mysterious about every place you travel to. I'm not really sure yet how far I will come during the week, but I hope I'll have something cool by the end of the jam. Here is an little sketch I did yesterday, trying to get a feel for the game, I hope you like it! I'll try to keep you updated here! PS: Thanks a lot Sophie for hosting this jam! !